As India comes to terms with the demonetisation of high value currency notes, one festival that truly represents the spirit of commerce and finance might come and go in Orissa this year, without much fanfare – Boita Bandana and Bali Jatra. The celebrations trace their origins to ancient times when Kalinga, now the modern state of Orissa, was the hub of inland and foreign commerce and industry in the Indian subcontinent. It had strong business and cultural ties with other lands such as Bali, Sumatra, Sri Lanka, China and Thailand. Around this time of the year, merchants or sadhavas would set sail in their ships for trading activities with these foreign lands. Bali Jatra in Oriya literally means ‘journey to Bali’. Drawing upon folk tales, one can imagine trunks of goods – spices, rolls of cloth, precious stones, handicrafts – being loaded onto the ships; farewells tinged with the sorrow of parting and the excitement of new adventures. The merchants’ wives, sadhaba bohus, would conduct prayers for their safe return and consecrate the boats – boita bandana – for a successful journey. Months later, the ships would return with their stocks traded for essential goods and treasures from distant shores. Not only did this promote a thriving economy, the scale of cultural exchange and mutual harmony made these journeys no less than any high level diplomatic mission. With time, overseas trading dwindled and present day Orissa is known more for agriculture and mines than for its maritime splendour. However, traditions remain. During the Hindu month of Kartika, around October-November, as winter begins to set in, colourful stalls pop up around markets. They sell boats made of paper, cork and banana fibre. On Kartika Poornima or full moon day during the month Kartika, children and adults take these boats at daybreak, offer prayers and float them in nearby rivers and lakes, laden with fruits, betel leaves and coins. Thousands of lamps light up the landscape in the pre-dawn darkness. It’s a commemoration of those ancient, glorious times. Merchants may no longer sail the seas, but we acknowledge the foundation our ancestors laid for vibrant trade and cultural exchanges. The festival also coincides with the traditional Bada Osa, Bhalukuni Osa and Akasa Dipacelebrations. The legend of Ta Poi, part of Oriya folklore, draws upon Bali Jatra for its context. 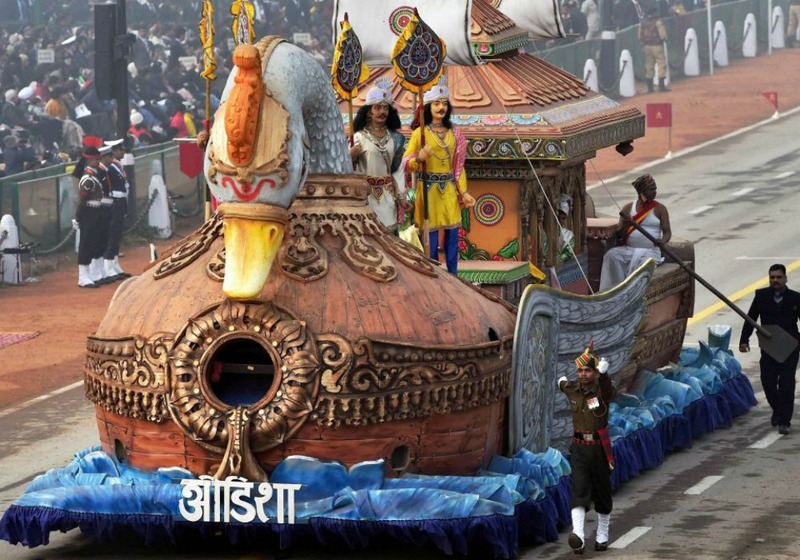 This also marks the beginning of a month-long fair, also called Bali Jatra, in Cuttack. Symbolic of the ancient practices, traders and craftsmen from across the state set up stalls on the sandy banks of Mahanadi River. Handicrafts, utensils, clothes, farm and industrial equipment, vehicles; their wares cater to all. Ferris wheels, merry-go-rounds and other games stalls attract young and old alike. A lavish spread of traditional food tempts the visitor. I remember going there with my family when I was young and buying little clay toys and binging on dahi bara–aloo dum. I’ll leave the names as is; some things don’t taste as good in translation. The month of Kartika is considered holy, with Hindus engaging in daily prayers and abstaining from eating non-vegetarian food. Cold baths on wintry mornings are part of the ritual. Brrr!! The last five days, called Panchuka, are considered most auspicious, culminating in Kartika Poornima. All sins are washed away and the person is cleansed in body and soul. Some cultural practices endure, not so much for their religious significance as for their connectedness with a way of life that’s long disappeared with the passage of time. They now exist only as part of our cultural DNA. As long as they persist, our heritage continues to live on.